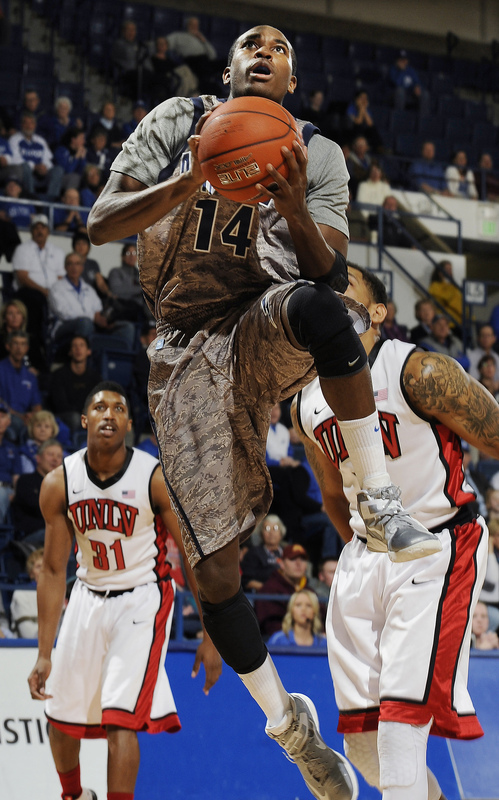 The Air Force Academy’s men’s basketball team broke out some seldom-used uniforms last night for the team’s 71-56 win over UNLV. Here, guard Michael Lyons goes up for a layup during the first half. The Falcons are 15-8, 6-4 in the Mountain West Division so far. No word on if the uniforms are the new light weight ABUs, or if those haven’t yet made it to Colorado Springs.